Rev. Francis Horatio Stubbs married Mary Elizabeth Burnet. Roland Henshall Stubbs married Katherine Duer Austin in Oct 20, 1881 at Waterford, NY, USA. George Edward Stubbs married Charlotte Maude le Juene in 1880. 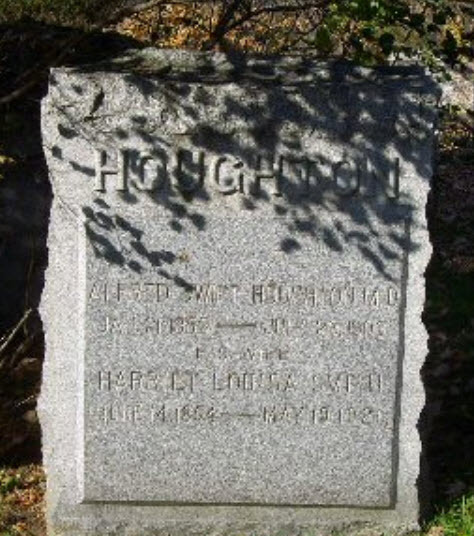 George Fredrick Houghton Jr. married Annie Heald in Jan 25, 1866. 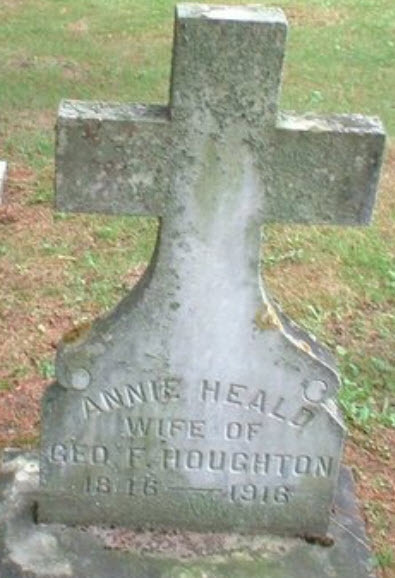 Annie Heald married George Fredrick Houghton Jr., son of George Frederick Houghton Esq. and Ann Donaldson, in Jan 25, 1866. Dr. Alfred Swift Houghton M.D. Dr. Alfred Swift Houghton M.D. married Harriet Louisa Smith in Nov 30, 1882 at Brooklyn, Kings Co., NY, USA. Harriet Louisa Smith married Dr. Alfred Swift Houghton M.D., son of George Frederick Houghton Esq. and Catherine Sedgwick Swift, in Nov 30, 1882 at Brooklyn, Kings Co., NY, USA. Notable a genealogist. Rev. Frederick Weis used her data in his "Early Families of Lancaster, Mass." Mary Emelia Houghton married Worthington Smith Telford in Aug 7, 1918 at St. Albans, Franklin Co., VT, USA, age 34. 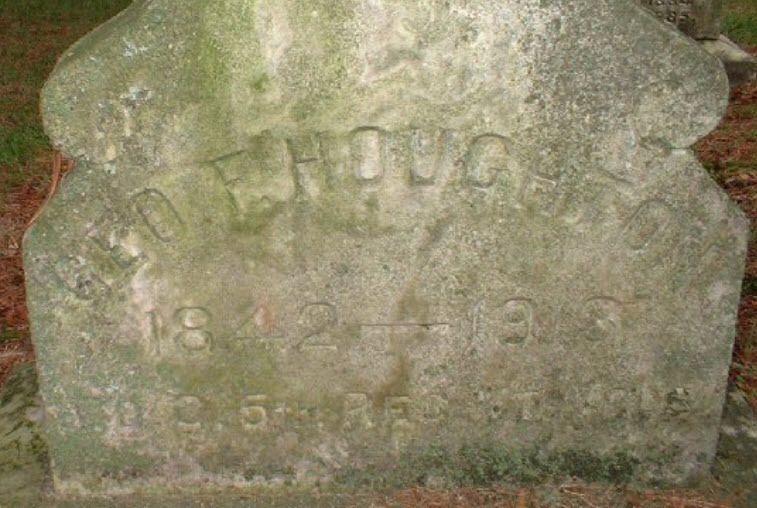 Vernon Winthrop Houghton married Frances Aldrich Glen in circa 1907 mar 3 y in 1910 census. Vernon Winthrop Houghton married Vera Coswell in circa 1932. Theodore Sedgwick Houghton married Elvina Hawkes in May 7, 1910 at New York, New York Co., NY, USA, he age 21, she 18. Death Dec 14, 1911 Buffalo, Erie Co., NY, USA, at the home of his brother Henry C.
Burial Greenwood Cemetery, St. Albans, Franklin Co., VT, USA, There is a headstone here; unclear if he is buried here. Burial Evergreen Cemetery, Roberts Corners, Jefferson Co., NY, USA, Newspaper Adams NY Jefferson County Journal 1911 - 0622.PDF on fultonhistory.com for obit. Vermont, for interment. ‘Asleep in Jesus.’”. 1910 Census 1910 Oyster Bay, Nassau Co., NY, USA, Age 49, Living with husband & 2 youngest sons. 1920 Census 1920 Oyster Bay, Nassau Co., NY, USA, Age 59, living with husband William (age 73 clergyman) & 2 unmarried youngest sons (both mechanical engineers/steel workers). Elizabeth Dora Houghton married Rev. William Wiley in circa 1879 Dora was 18 and William Wiley was a 33 year old widower with 2 young children. Nina Chase married Barnard C. Johnson. Emma Chase married Mr. (?) Clark. Barnard C. Johnson married Nina Chase, daughter of Frank E. Chase. Mr. (?) Clark married Emma Chase, daughter of Frank E. Chase. Mary Chase married Rev. Levi Ballou. Charlotte Chase married Rev. William Barber. Nancy Chase married Rev. Edward Davis. Rev. Levi Ballou married Mary Chase, daughter of Capt. Henry S. Chase and Martha P. Ward. Rev. William Barber married Charlotte Chase, daughter of Capt. Henry S. Chase and Martha P. Ward. Rev. Edward Davis married Nancy Chase, daughter of Capt. Henry S. Chase and Martha P. Ward. Mary Stephens married Joseph Bradley 2nd. Mr. (?) Sawyer married Mary Stephens, daughter of Simon Willard Stevens and Mary Electa Davis, Sawyer: gives a Nathaniel Sawyer m. a Mary Stevens, 1 Jun 1817, Andover MA.